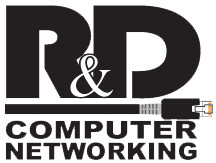 We work configuring a number of different Routers, Wireless Routers, and Firewalls. The Branding is Juniper, Sonicwall, Linksys, Netgear, Belkin, and Others. There are also filters for spam, viruses, and spyware available in certain models of these hardware appliances. We have years experience configuring Routers and Switches. We have programmed configurations for Belkin Routers, Sonicwall Routers, Juniper Routers, Linksys Routers, Netgear Routers, and few other Routers. We also have configured, both managed and unmanaged switches. 3com switches, Netgear switches, Linksys Switches, Dlink switches, Cisco switches, and a few other unmanaged switches. We have done different levels of Rack and Stack for these type Routers and Switches. We set up wireless routers with high 256+ bit security to enable wireless laptop users secure data streams to and from their Networks when they are operated at the Office location. The other part of this is covered also by the Telecommuting and Remote Access information listed above for virtual private network connections. We also setup Access points with strong signal and the ability to support multiple virtual lans for internal security and potentially segregating departments within the same network by utilizing vlans.